Are you heading to Cozumel, Mexico, on a cruise? Perhaps you’re not quite sure what you can or should do in just one day. Actually, just part of a day, because you may only have 6 to 8 hours. Maybe you’re wondering if you should stay close to the ship and browse the shops there? Are there places on Cozumel you shouldn’t miss? Or should you ferry to the mainland to explore Playa del Carmen? Initially we had decided to stay on the island of Cozumel. We were worried about the time it might take to get to the mainland and didn’t want to lose time to transportation. Carnival had several shore excursion options, but in our mind, they were pricey, and we prefer to do things on our own rather than be part of a large group. We looked into renting a jeep to drive, and it was reasonably priced, until we remembered we would need additional insurance. So we decided to use taxis. We wanted to see Mayan ruins, go snorkeling, and find a fun place to grab lunch, maybe even explore San MIguel a little. The Mayan ruins at San Gervasio are pretty low-key, from what we read and saw in photos. I had hoped that we could visit a place like Chichen Itza, but that was way too far away for an independent port day excursion. After talking with a friend, I learned a few more reasons we should consider going to Tulum. It was considerably closer than Chichen Itza and do-able from a cruise ship in Cozumel. There is an independent tour run by Alma’s LDS Tours that gives insights to connections between Mayan records/ruins and the Book of Mormon. Since I believe the Mayans may have been descendents of Book of Mormon peoples, that really intrigued me. The Tulum ruins and the tour given by Alma’s LDS Tours were the highlight of my friend’s visit to Cozumel. I figured that was a pretty good recommendation. We booked a tour with Alma’s LDS Tours to see the Mayan ruins in Tulum. After walking off the ship at about 7:45 am ship time, we made our way to the taxi stand and caught a taxi for $8.00 to the ferry terminal. I had a hard time ignoring all the fun shops and photo ops! It took about 10 minutes to get to the ferry terminal in San Miguel. When we arrived at the ferry terminal, the 9:00 am ferry was pulling away. (Did you catch the time difference? It was 9:00 am in Cozumel, but only 8:00 am ship time. We had told our tour guide we’d be getting off our ship at 8:00. He had expected us to arrive on the mainland a lot earlier than we did). We bought tickets for the ferry to Playa del Carmen with Mexico Waterjets for $69 pesos each ($3.71 US). Ferries were only running on the hour, so we had to wait for the 10:00 am ferry (bummer!). The ferry ride is about 40 minutes long. The ride is relatively smooth for how fast the boat is traveling, but it was not easy to get up to use a bathroom. Be sure to hold on to something if you decide to walk around! If you have a tendency to get seasick, this might not be a pleasant ride. I was, however, quite pleased that they had standard electrical outlets at our seats for recharging our cell phones. My husband had a Mexico plan on his phone, and we were both using our phones as cameras, so this was important to us. The ferry ride was also a beautiful one. It didn’t feel like time taken away from our adventures for the day. We only had to walk a few yards away from the ferry pier before we saw our driver (Armando) with a sign for Alma’s LDS Tours. Armando led us to where the van was parked a few blocks away, and we started our 45-minute drive to the Tulum ruins. Armando was quite friendly and happy to answer any questions we had and share general information about the area we were driving through. There are a LOT of adventure resorts in this area between Playa del Carmen and the Tulum ruins, like Xcaret and Dolphin Discovery, so the drive was quite interesting, too. We arrived at Tulum about 11:40 am. We met up with our tour guide, Arnie, and he was just finishing up a tour with another group. Arnie then backtracked to catch us up to speed, and our nearly exclusive tour lasted about one hour. We were given plenty of cold water bottles to drink, which was nice, as it was quite warm (about 80 degrees Fahrenheit). The Tulum ruins are still in pretty good condition, and there is a lot to see! Several small “temples” can be viewed, as well as residences, walls, arches, and the foundations of more structuress. The ruins are incredibly beautiful against the backdrop of a turquoise ocean and white sand beaches. Learning about ties to the Book of Mormon was also fascinating. I’m not going to try to recount all that we learned, but I will share one interesting insight. When the Spaniards discovered the Mayans, they were dismayed to learn they were worshiping a feathered serpent. The Mayans called it the “Descending God” and always depicted their god with his feet up and head down, as if he was diving. However, it was primarily a symbolic depiction. The feathers were symbolic of that which is closest to the heavens — a bird. And the serpent was symbolic of that which is closest to the earth — a snake. Their god represented a god that descended from heaven to earth. The Book of Mormon is another testimony of a god that descended from heaven to earth — Jesus. We had a little bit of time after the tour to explore souvenir shops and watch an interesting Mayan ritual with four performers attached to ropes that descended to the earth. They represented birds bringing rain for their crops. Arnie brought us a Subway sandwich lunch and drinks, which we enjoyed in the air-conditioned van as we made our way back to the Playa del Carmen ferry. Alma’s LDS Tours guarantee is that they will have you back at your ship two hours before sailing time. The reviews we read on TripAdvisor were all glowing reports, and no one ever mentioned missing their ship! True to their guarantee, we were at the ferry before 3:00 pm (Cozumel time, which was actually 2:00 pm ship time). This time we bought tickets on the Ultramar ferry (the first ticket booth we came to!) back to Cozumel. The tickets were significantly more at $163 pesos each ($8.76 US). But after we boarded the ferry, we learned there would be a live band performing all the way back. That made it pretty fun. I was amazed that the band could stand and perform on the ferry without toppling! You can hardly see, but that’s me snorkeling in that beautiful water! Seeing that we still had several hours before we needed to be back on the ship, we decided to take a taxi to Playa Azul, a hotel and private beach where we’d read there was decent snorkeling. There were no lockers here, and since we weren’t guests of the hotel, we couldn’t really ask for help watching our items, so we took turns snorkeling. But it was truly beautiful, and we were pleased with the fish we saw as we snorkeled this close to the shore. This would also be a great beach for just laying out. There were mostly families on the beach, some enjoying the sun while others were picnicking. There are restrooms here, so it is easy to change into swimsuits if you’re not already wearing them. It was also easy to hail a taxi after snorkeling for about an hour; there were a few taxis waiting right out front of the hotel. As we arrived at the cruise terminal with plenty of time to spare, we could have spent at least 30-45 minutes browsing the shops if we’d been so inclined. But the heat and the snorkeling had worn us out, and we were looking forward to getting back on the ship to clean up and relax. Remember you are in another country. Your regular medical and auto insurance will not cover you here. Don’t drink the water — drink bottled or canned drinks instead. And ask if your ice is made from purified water. Vegetables and fruit that may have been washed with tap water can also make you sick. And don’t expect everyone to know how to speak English. It’s a good idea to know at least a few words in Spanish! Check your ship time and double check it! Be sure you understand the difference between your ship time and the local time, once you get off the ship. For us, Cozumel was one hour later than our ship time. That was probably in our favor because it meant we weren’t likely to get messed up and miss our ship. But it did affect us in the morning. It caused us to miss our scheduled pick-up at the ferry in Playa del Carmen. Fortunately, Alma’s LDS Tours was flexible enough to send another driver to pick us up. There are three ferry companies operating ferries from Cozumel to Playa del Carmen: Mexico Waterjets, Ultramar, and Barco Caribe. They all seem to run on the same schedule — every hour on the hour for the most part. Carnival was selling shore excursions to the Tulum Mayan ruins for $92.00 per person. As it turned out, our excursion was about the same price. However, we felt like we still got a better value because 1) we were on a very small tour, 2) our lunch was provided, 3) a shuttle ride from the parking lot to the ruins was included in our tour, and 4) we had enough time leftover to go snorkeling too. For more on cruising, be sure to see “What’s it Like to Come Home from Your First Cruise?” and “Cruise Tips Mythbuster“! ← Travel Joyfully — Be Sure to Smile! Cozumel was such a great stop, we did so many cool things! I have such different experiences of Cozumel having never been there by cruise. It’s where I learned to dive and I love the underwater world there so I was glad to hear you went snorkeling. And Tulum is lovely. Not as extreme as Chichen Itza! What a beautiful place! The snorkeling sounds heavenly and the tour intriguing. What a different experience from what we had! I loved Cozumel and we drove around the island in a scooter, went diving and snorkelling at the same spot you guys went to! But I understand that you wanted to see ruins and Tulum is really lovely! A shame that you didn’t have enough time to check out the beach there… and how incredible few people are on your pictures! When I went to see the ruins, I hardly could see the stones but crowds of tourists!!! We’ve recently returned from a cruise of NZ, and as our first cruise, I can appreciate how you definitely need a plan of action to fully maximize your shore hours! Tulum was one of our favorite parts of the Mexican Riviera, such a good choice for your day in Cozumel. Playa Azul looks like it was stunning snorkeling. Very good tip to check and double check the difference between ship time and local time. Even on our last cruise just from Aus – NZ, the ship took on a timezone of it’s own for some of the sailing days and my phone time got very mixed up. So that’s a really great point. Glad you had a fabulous time! It sounds like you had a fun stop. I really love Cozumel. We spent a little over a week there once, after staying in Playa del Carmen two other times. We had so much fun exploring and snorkeling. If you go back, go to Chankanaab Park for snorkeling. There is also food, showers, lockers and some activities. The snorkeling was really good there too. There is also a lighthouse on the island with great views. Tulum was a lot of fun though. The views are beautiful there too and it’s interesting. Incredible plan of action. Sometimes some deviations do take place. The difference in cruise and local timings is a tricky one, glad it didn’t cause you any loss. I wouldn’t want to miss all those photo ops though. Great pictures. Sounds like a great plan for Cozumel. I like the independent excursion companies and the type of tours they offer (with smaller groups and more personal attention). Alma’s LDS did a great job for you. Cozumel is such an amazing place. I think the Tulum Mayan Ruins just looks so amazing. The water is seriously crystal clear! I bet it must be really beautiful to snorkel there isn’t it! It is always fascinating to learn a thing or two about an ancient civilisation. The ruins look impressive at a distance against a backdrop of a blue sky and turquoise ocean. You also managed to have a go at snorkelling and enjoyed a live band on your ferry. I’m pretty sure it was a fun-filled day for you. Yep, we packed a lot into our port day! So much fun! Yes, sometimes you need to detour from the… tour itself and book another… tour 🙂 In that way you are able to explore more interesting things that should be in the original tour from the beginning (too many… tour words, I know). Glad you had a good time. I truly enjoyed my time in Cozumel and everything you shared hits all the main attractions and then some. That rain dance is truly riveting no? And cannot agree more with you on double checking departure time! It is so easy to lose track of time! I would love to snorkel in those amazing, crystal clear waters! The ruins are so fascinating. I would love to explore them for hours on end! 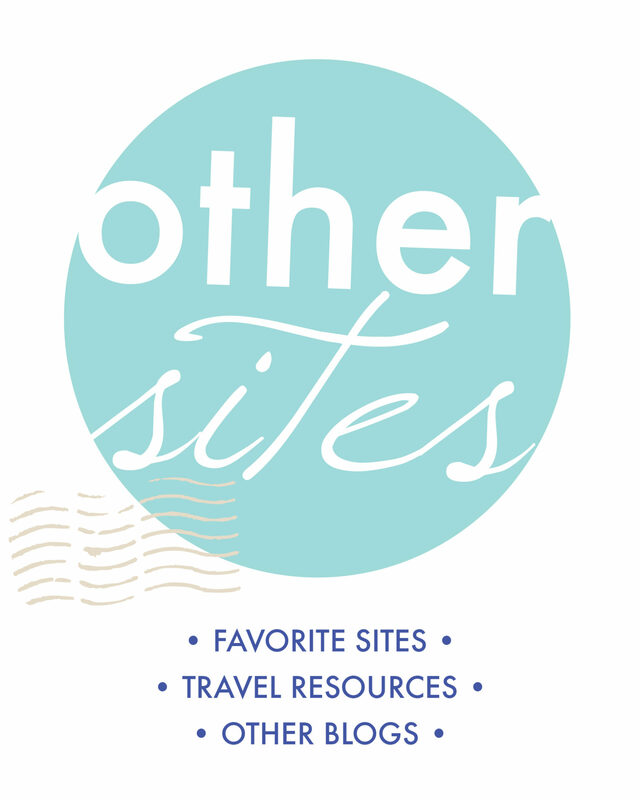 I love your style re: cramming as many things into the itinerary as possible – I am totally the same way! And it is worth it! Sounds like you learnt a lot about the Mayan history on your excursion! I’d love to visit one day – especially for the snorkelling and diving. What was the most exciting thing you saw underwater? Some great tips here – especially about the water/ice and the potential for sickness. I always find that hard because in NZ, we have such pure water, we take it for granted. This is really great to read your posts and get images and information about places we will never be able to see for ourselves, through the eyes of someone with similar interests. I’m glad you enjoyed it. I wish you could make a trip there yourself — it is truly beautiful, and the people are grateful for the help that tourism brings to their area. Cozumel is one of my favorite places to visit on vacations; its tropical climate and the wonderful crystal clear waters I think would catch anyone’s interest who visited it. 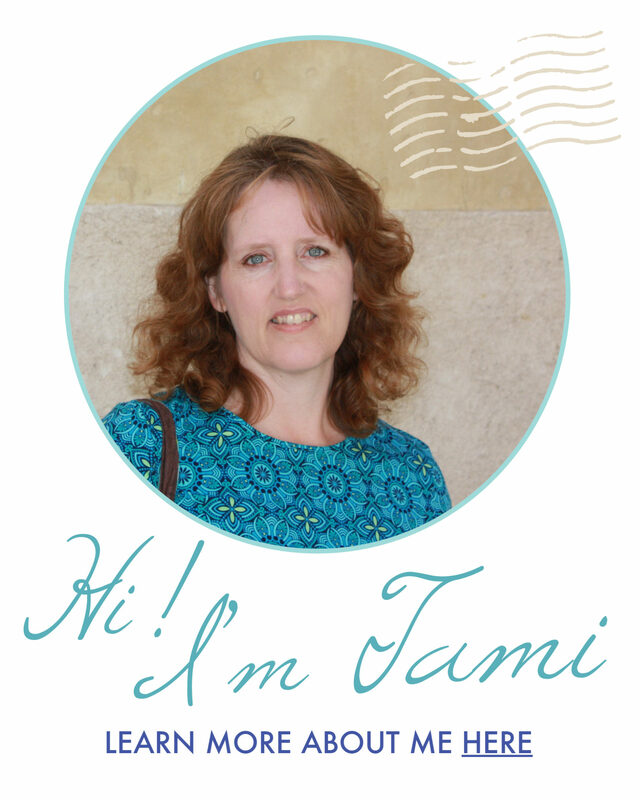 Thank you for sharing your experience Tami! I loved reading your post!